our apartment is tastefully furnished with varied themes to offer guests a wide choice. The apartment has a satellite TV on each room, private safe box, telephone directory, mini bar, hair drier, electric kettle, weighing scales, Iron box, washing machine, electrical/gas oven and hot shower. Car hire and Hotel Transfers is also available at a fee. The premises are guarded by security personnel onsite parking is available. A home away from home environment, An oven and a microwave can be found in the kitchen. Towels and bed linen are featured in this self-catering accommodation. Free Internet WiFi is available for free, Free access to all amenities of the apartment such as coffee maker, laundry machine, satellite TV, Fridge among others. 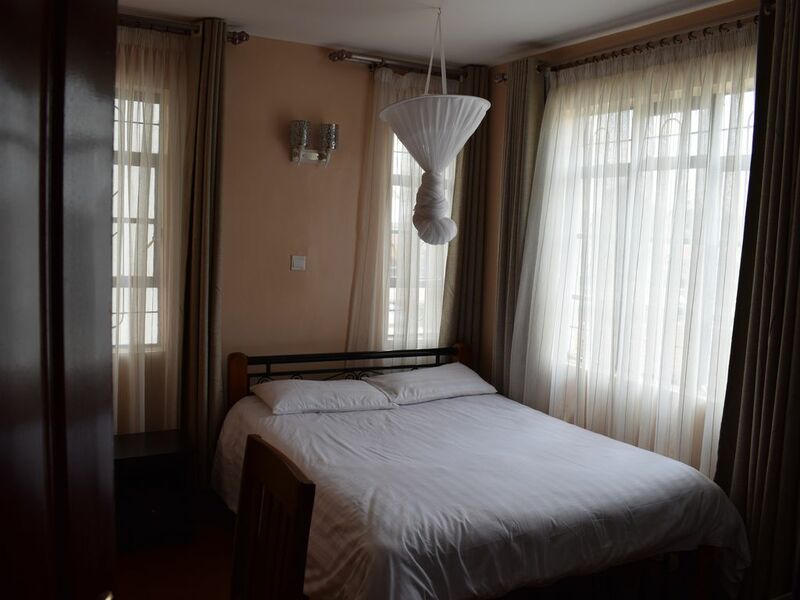 Guest will have access to all sections inside the apartment, the three fully furnished self contained bedrooms, kitchen, laundry area, among others. On the External area the parking area and the rooftop if required are available too. We can shop for specific items such as food/beer/fruits/vegetable and stock the apartment for you at a fee. I booked Valarian's house for my colleague and she loved it!! Thanks and we will come again. Hopefully will get to stay next time! !